No matter which state you reside in, your local vehicle registration agency will not allow drivers to get on the road without proper liability insurance in the case that they get into any sort of collision. In fact, up-to-date car insurance is so important when operating a vehicle that proof of it must be kept in the car at all times. However, whether you must show proof of auto insurance at the time of your next vehicle registration renewal depends on your state. 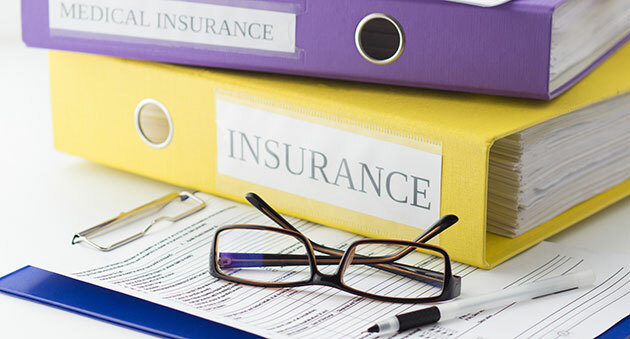 For instance, California, Florida, New York, Texas, and New Jersey require liability coverage, while Illinois, Montana, Washington, and New Hampshire do not require proof of insurance at the time of registration. Vehicle registration renewal varies between the states and is either required annually or every few years. Contact your local branch for renewal specifics; some agencies include this information on their websites or send out reminders through the mail. Similarly, how you renew your car registration varies by state. can be done online, in person, by telephone, or through the mail. Remember: Most states require more than just proof of insurance for car registration renewal. For example, some states require emissions inspections before registration and, usually, those same states require a smog check for renewal. Your car might need a safety inspection, too. While hybrid and low-emission cars have been picking up steam in the recent years, some drivers have been “going green” with their vehicles for generations. Owning and driving a salvaged vehicle is one way of avoiding extra scrap metal in landfills and lessening your carbon footprint. You're driving a vehicle made of recycled parts, after all! Yet, some drivers have trouble finding coverage for these vehicles. Not all insurance companies offer coverage for salvage cars because they're not sure how to determine their value. Also, these vehicles may also have safety issues so auto insurers will stray away from offering collision coverage because of the high risk. Make sure your vehicle passes inspection in order to protect yourself, the driver, and others on the road - and make your insurer a little less gun shy. Before registering a salvage title car, first determine if your auto insurer can offer coverage. Next, visit your local vehicle registration agency to see whether auto insurance is necessary when it’s time for registration renewal. If you operate a motorcycle or any vehicle your state lumps under the "motorcycle" category, there are a few different rules when it comes to auto insurance. For the most part, most states require insurance when registering a motorcycle, with the exception of Washington and Montana. At the same time, some states require basic liability insurance for motorcycles in addition to personal injury protection (PIP) coverage. Wherever you reside, make sure to contact your local agency about all of its car insurance requirements and details so that you’re not surprised when it comes time to renew your registration.